Hi everyone! I'm back with another layout share using the "Brave" Scrapbook Kit and the "Fierce" Embellishment Kit. I really enjoyed using the little frames to create three clusters on my page- one for my photo, one for my title and one for embellishments. 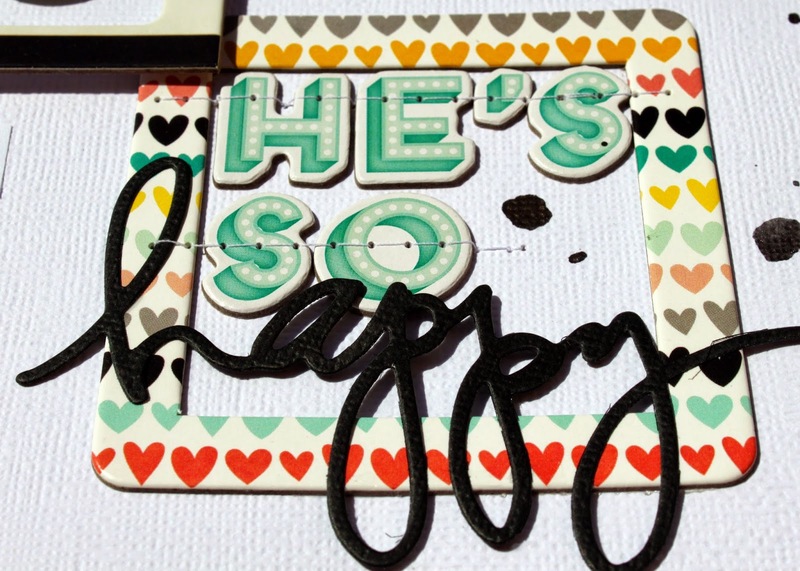 I used a combination of the Thickers and the die-cut "Happy" word to create my title within the frame. The flair in the kit was the perfect size for this striped frame and I used a couple of arrow stickers to draw attention to it. I am loving this kit and will be back soon with another share.